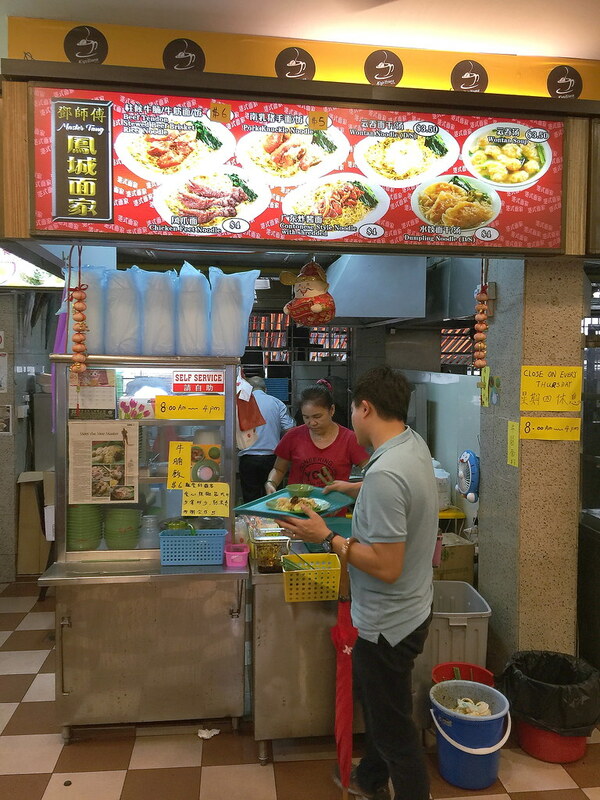 I finally dragged my feet and made my way down to Sixth Avenue to check out Master Tang Wanton Mee after all the media hype of his re-opening in Bukit Timah. Master Tang is already in his 80s. 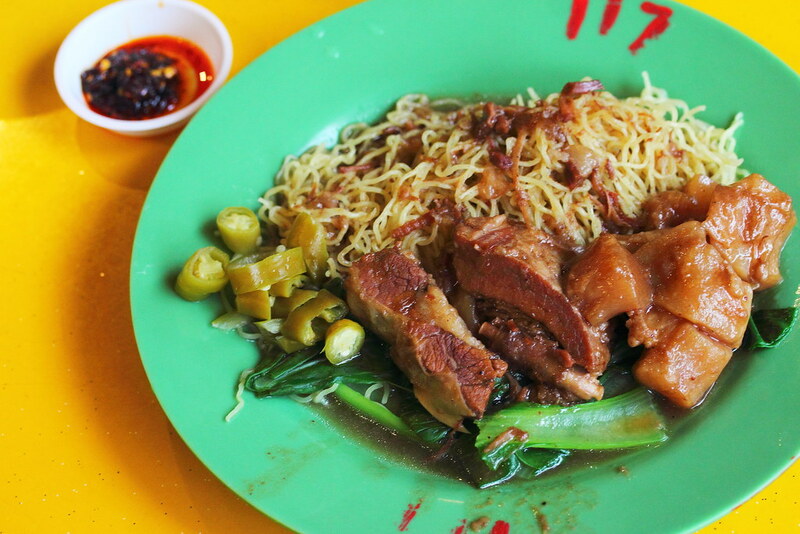 Accordingly to online sources, Mr Tang used to be the head chef of crystal jade kitchens and was the brainchild behind their signature wanton mee. 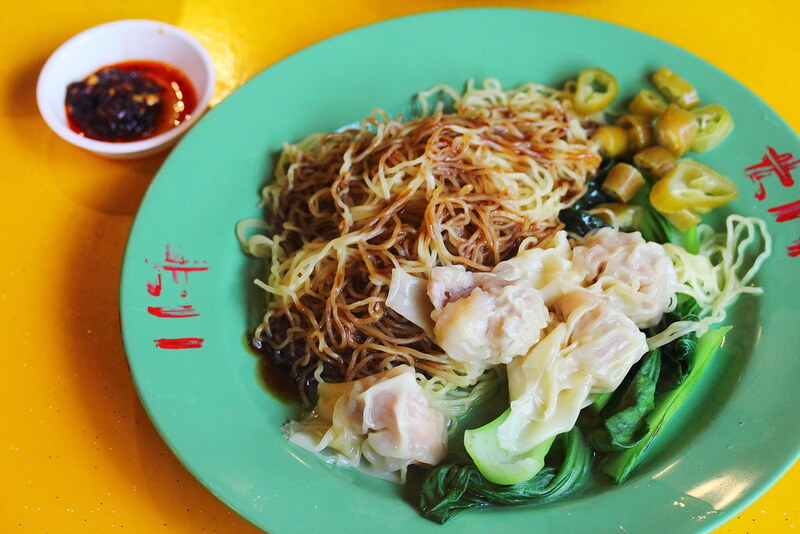 Since so much is said about the Wanton Noodles ($3.50), I have to order a plate to try myself. 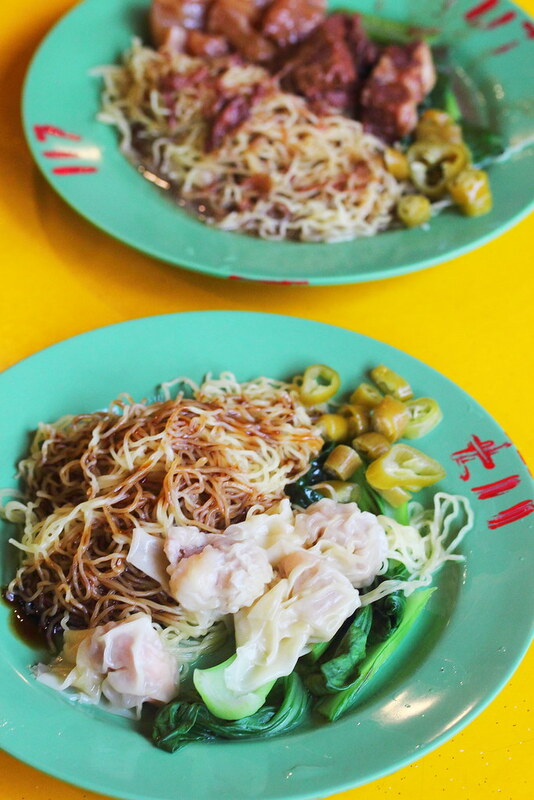 This is the Hong Kong style wanton noodles, so do not expect any char siew. It only comes with 4 small size wantons and a few leaves of chye sim. The noodles are thin and springy with a good bite to it. Unfortunately I do not like the alkaline taste on the noodles. Saying that I thought the sauce complemented the noodle excellently. Since we have already made the trip down to the stall, we also ordered a plate of the Beef Brisket Noodles ($6) to try. I preferred this over the wanton noodles partly due to the fact that the rich and savoury braising sauce helps to mask the alkaline taste of the noodles. Not getting the star on the plate is the beef brisket and tendon that have been stewed until tender soft. I have not tried Master Tang's previous cooking, so my judgement is purely on my visit. The noodles I had did not quite justify the media attention that has been given to him. I was left puzzled on the hype. Maybe age has caught up with him. Not to forget he is already in his 80s. Great to know someone else is on the same page and it is not just only me.